National Bird is a scathing and clearly delineated expose on America’s use of drone warfare and the effects it has on both the victims of the attacks and the crews operating the aircraft. “You shouldn’t have to stop your own people from killing civilians,” says a former military whistleblower in the documentary National Bird. More than just a documentary, National Bird is a scathing and clearly delineated expose on America’s use of drone warfare and the effects it has on both the victims of the attacks and the people operating the aircraft. Directed by Sonia Kennebeck and executive produced by Errol Morris and Wim Wenders, National Bird looks through the eyes of three whistleblowers – one man and two women – involved in the drone program at the real human damage done to operators and victims alike. The film carts the experiences of the three whistleblowers and their different ways of dealing with the aftermath of their involvement in the drone program. One, an imagery analyst, suffers from PTSD after participating in multiple drone attacks, first identifying targets and then body parts in the aftermath. Another faces pressure from the military and the government for his discussion of the drone attacks, while the third attempts to make reparations for her role in working on the complex weapons system that used drones to collect data and target possible insurgents. All three had top-secret clearance and were therefore barred from discussing their experiences with outside therapists or family members, and all three suffer extreme guilt and anxiety as a result. By focusing on their stories first, National Bird avoids vilifying the people participating in the drone program. The program is neither moral nor immoral; it is simply a tool. It is the use that is made of that tool, the lies told about it, and the number of mistakes that result in civilian casualties and are then summarily covered or ignored. The lead-up to drone strikes is laid bare, exposing a less-prepared military program than we imagine – a program designed to be able to kill quickly and suddenly, anywhere in the world. Concealment by the government and a history of reinforcing the supposed “safety” of drones in the face of contradictory evidence are the issues at stake, and they are life and death issues for thousands of military personnel, Afghani and Iraqi civilians, and, someday, American citizens. About two-thirds of the way through, the film shifts its focus to the remaining members of several Afghan families that were victims of a U.S. airstrike in 2010. A Predator drone crew, under the mistaken impression that they were terrorist insurgents, tracked them for hours. The horrifying radio transcript of the drone crew’s conversation bears witness to the extreme failure of the program itself. As one whistleblower comments, this is normal behavior for drone crews, who tend to want to shoot first. This particular attack simply resulted in more deaths than usual, and so led to a military investigation. There’s no doubt that National Bird takes a very particular perspective on drone warfare, but it does well to not condemn drones themselves. The cat is out of the bag, as it were – drones have come and they’re here to stay, as all three whistleblowers attest. But drones and the use of drones is not fully understood, either by the public or even by the military, and, at least according to this film, they are being misused and mishandled, the experiences of their operators ignored or swept under the rug in favor of a single narrative of success. The effects of this are predictably terrifying and devastating for everyone involved. National Bird is a sharply constructed documentary that encourages emotional investment in the tense experiences of its subjects. It’s certainly difficult to watch at times, intercutting real life footage of drone strikes and their aftermaths and chronicling the fears, insecurities and guilt of three people who were victims in their own ways. Most powerful are the overhead “bird’s-eye-view” shots of cities and countryside, giving the perspective of a drone over not just Afghan, but American soil. 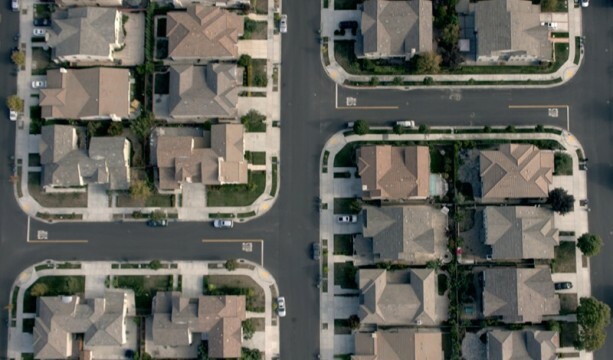 The overhead shots show a grid of houses, countryside, city streets, easy to target and easy to destroy, then cuts to on-the-ground footage – the distant and external made suddenly personal. National Bird ultimately questions how the countries of the West would feel if we were afraid to even go outside, if we knew that at any moment we might become collateral damage. It reminds us, moreover, that the military personnel operating these weapons are our children, and what they see will affect them, and us, for a long time to come. How would we feel, and why don’t we feel more?